Frankenstein was developed by top notch gaming software Net Entertainment and was released in 2011. 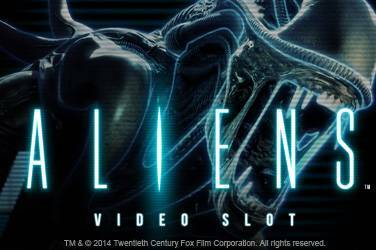 This slot game was produced in cooperation with Universal Studios. It’s actually inspired by the classic 1832 novel by Mary Shelley. 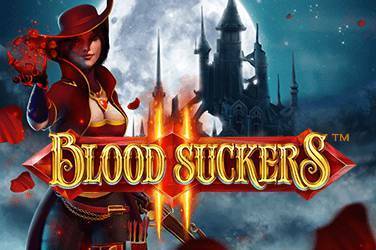 This game is perfect for horror-loving casino gamers who are always looking for slot games that can provide a unique and memorable gaming experience. This game perfectly creates a dim, unhappy, and mysterious vibe which are traits of Frankenstein himself. The video effects and 3D graphics of this game are absolutely fantastic. Each time Wilds are triggered, a thread of electric current runs through the main game screen. The music and sound effects are also excellent. The Frankenstein makes his presence felt each time a sound effect could be heard like the pounding on a metal door as the player adjusts the game settings. This slot game has 5 reels, 3 rows, and 20 paylines. It has a return to player percentage of 96.7%. This game has medium volatility. To start the game, the player must first select which coin denomination to use by adjusting the left and right arrows of the ‘Coin Value’ button. 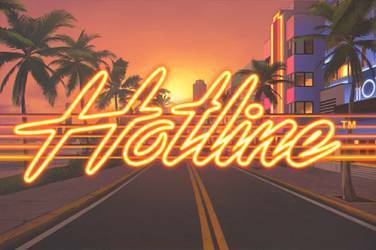 To choose which paylines to activate, the player must click the ‘Lines’ button. Then, he should press the ‘Level’ button to adjust the number of coins used for every pay line. The player can also choose to automatically place the maximum bet by clicking the ‘Max Bet’ button. After everything’s adjusted according to the player’s preference, he can now press the circular arrow button which serves as the ‘Start’ button of the game. This slot game has Wild symbols, Scatter symbols, a Free Spins feature, and even a Bonus game. There are two types of Wilds in this game: the Lightning Wild and the Fire Wild. The Lightning Wilds appear during a regular game but the Fire Wilds can only appear during Free Spin rounds. Both these Wilds are called Linked Wilds since they can transform 2 or more neighboring symbols into Wilds. On the other hand, the Scatters give out amazing bonuses. If two Scatter symbols appear on the reels, the player will get 5 free spins. When three Scatters appear, the player will get 10 free spins. 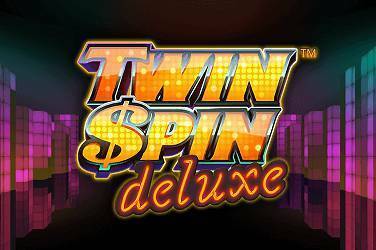 During a free spins round, a multiplier might appear on the fifth reel which results to increased amounts of winnings. The first step is selecting the coin denomination to use by clicking the ‘Coin Value’ button. The second step is choosing which pay lines to activate by pressing the ‘Lines’ button. The third step is selecting the number of coins to wager for each pay line by clicking the ‘Level’ button. The fourth step is determining the number of rounds to be played using the Autoplay feature. The fifth and final step is clicking the circular arrow button for the game to officially start. The player can now just sit back, relax, and watch as the game progresses. Since 2015, Frankenstein is available on mobile. This slot game can be played not just on desktop computers and laptops running on Windows, Linux, and Mac operating systems, but on tablets and smartphones as well. This mobile slot game, powered by NetEnt Touch, is compatible with Android smartphones and tablets, iPhones and iPads, and even on Windows devices. NetEnt mobile games are fully optimized for mobile gaming so players are ensured of a smooth and impressive gameplay- same as when playing via personal computers. Because of this mobile version, players can now enjoy Frankenstein anywhere and anytime they want. They can just whip out their phones wherever they currently are and just start playing to pass the time or cure their boredom. It’s also convenient for professionals who don’t have a lot of spare time to play their favorite casino game. With this mobile version, they can now play while riding public transportation or while waiting for their order at a restaurant. Frankenstein has a free play version which is absolutely available for everyone to play and enjoy. This free version is really beneficial for newbie and inexperienced casino gamers. This will give them multiple chances to get fully familiarized with the game and understand how it really works. It will help them discover techniques and formulate strategies to increase their chances at winning big prizes. It’s absolutely crucial for a first-time casino gamer to get a good feel of the game before getting his hard-earned cash involved. It can also be helpful to experienced gamers if they’re tired and bored of the same games and want to try something new and exciting to play. By playing the free version of the game, they can decide if the game is suitable for them without spending money first. The minimum number of coins per line is 1 while 10 is the maximum. The coin denomination ranges from $0.01 as the smallest to $0.5 as the largest. The minimum bet per spin is $0.01 while the maximum is $100. Players can win up to 1,500 coins per spin in this game. But with additional bonuses and equally lucky rounds, players can win a total of 175,000 coins in this slot game. Here are the casinos where players can find the slot game Frankenstein: Casumo Casino, Energy Casino, 777 Casino, PlayFrank, Frank Casino, River Belle Casino, Gaming Club Casino, Jackpot City Casino, Casino Room, LVBet Casino, bgo Casino, Royal Vegas Online Casino, Superlenny Casino, Zodiacu Casino, Drift Casino, Joycasino, Lucky Nugget Casino, Dunder Casino, Kaboo Casino, Thrills Casino, SlotV Casino, Casino Cruise, Quasar Gaming Casino, Mucho Vegas Casino, Betway Casino, Sin Palace Casino, and Spin It Casino. Check out how to get NetEnt free spins with no deposit here.